Makeup artist and content creator Raiza Contawi is famous for her ~cool~ makeup tutorials. But those on our must-watch list have always been her celeb-inspired ones. By the end of the clips, she can pass as the celebs themselves—whether they're from here, South Korea, or the U.S.A! Both Kathryn and Raiza have similar facial features, so when she added a long wig to her look, she could def pass as her twin! 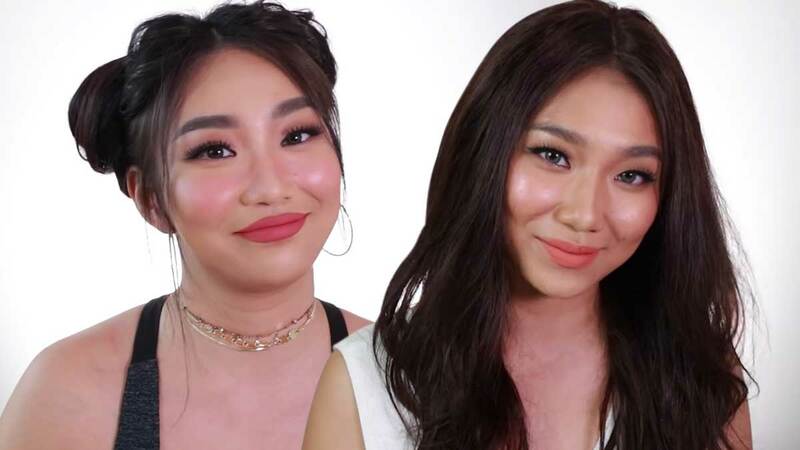 Another celeb Rai could twin with is Nadine Lustre. We legit had to do a double-take because we couldn't believe it when we saw the finished look. W O W! Calling all fans of the KarJenners! If you've always wanted to cop Kenny's supermodel look (Because who wouldn't want to look remotely close to her? ), here's how! Riding on the Wonder Woman craze, Raiza demonstrated her take on how to transform into Diana Prince. And we love how she completed the tutorial with the right headgear! Proving she's a ~*makeup chameleon*~, here's another celeb-inspired transformation where Raiza looks exactly like the Korean actress!